Today I’m happy to share a guest blog post by Michelle Kretzschmar, who is the creator of an incredibly helpful website called DIYCollegeRankings. Many people don’t know how much they’ve borrowed from college until they graduate. Often they don’t realize that all the financial aid they received was actually loans until they receive their first repayment notice. Inevitably, there were significant signs that the students were going to graduate with debt before they ever even sent in their acceptance security deposit. Check for these nine signs to see if your child is likely to end up with significant college debt. 1. You haven’t had the college money talk with your teen. The only people who can wait until their teen’s senior year to talk about college finances are those who have $300,000 set aside for college for each of their children. If you don’t, then avoiding the money talk is a major mistake. If students know that money is an issue they can make sure they apply to colleges most likely to provide them with financial aid. 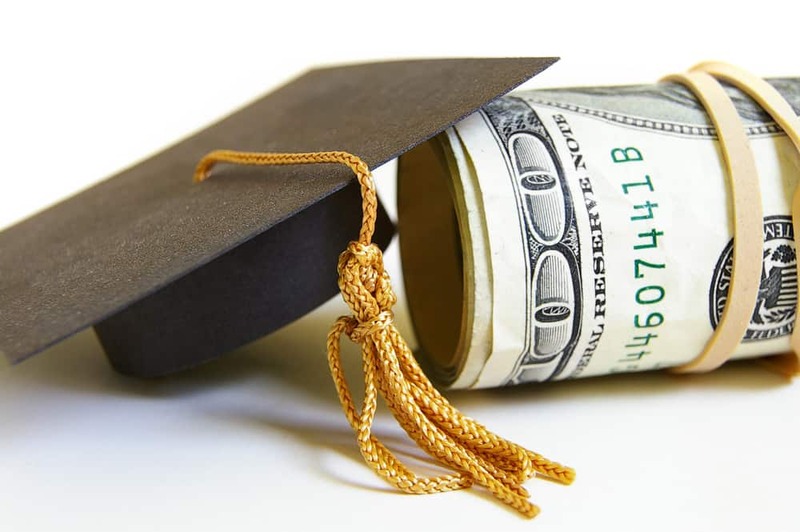 The reality is that the biggest source of financial aid comes from the college themselves. Since you can’t get financial aid from a college you never apply to, students end up taking out loans to make up for less than generous financial aid awards. It’s only natural for parents to encourage their kids to work hard and see that their hard work is rewarded. But just because a teen “deserves” to go to her dream school doesn’t mean the family can afford it. The danger here is that both student and parents believe that the prestige of graduating from the dream college is worth the extra loans. The truth is that there are no guarantees. Parents need to let teens know that if the school doesn’t provide acceptable financial aid, they won’t be able to attend. 2. You insist your teen stays close to home. The key to paying less for college is target colleges that are more likely to provide generous financial aid. If you live on the West Coast or in the Northeast, they aren’t likely to be close to home. Colleges in these areas know their location is popular with high school students. Therefore, they can and do charge more for students to attend and are more likely to offer loans as part of their financial aid award. You’re also eliminating a potential hook for your student. The further your student has to travel to get to college, the more “exotic” he becomes to the college. To benefit from merit programs targeting nonresidents, your student will have to be willing to go out-of-state. 3. You believe a higher ranked college will pay off after graduation. It’s critical to recognize that your belief isn’t supported by any actual guarantees by highly ranked colleges. None are promising to repay loans of students who find themselves struggling with student loan payments when their salary doesn’t meet their expectations. Common financial advice is that students shouldn’t borrow more than their first year’s salary. That means that loans for Ivy League students should be limited to a total of around $60,000 for all four years. Parents need to make sure their teens understand how much they are likely to earn once they graduate and how much of that will be consumed just by living expenses. You expect to pay for college with private scholarships. It’s really hard to blame families for believing this. After all, once you start looking for colleges, there seems to information on scholarships everywhere. Students are encouraged to apply because of the millions of dollars that go unclaimed each year! Unfortunately, most private scholarships are in the $500 to $1,000 range. Even at a state university, it’s going to take a lot of scholarships to make a dent in the tuition bill. When the scholarships don’t come rolling in, families are likely to turn to loans to make up the difference. You plan to claim student is independent to qualify for more financial aid. This is a plan in the same way that winning the lottery is a plan. It’s very difficult for a person under the age of 24 to qualify as an independent student. 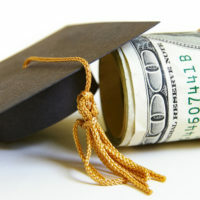 While it is certainly the parent’s choice as to whether or not to pay for college, it’s misleading for them to tell their kids they don’t have to worry because they’ll be considered independent students and will qualify for even more financial aid. Furthermore, if parents refuse to provide their income tax information, the student will only be eligible for students loans. You don’t use colleges’ net price calculators. It used to be that you didn’t know how much a college was going to cost until received your financial aid award from the college. That’s no longer the case. Today, families can use net price calculators to get an estimate of how much the college will expect them to pay before the student ever applies to the college. Granted, these are estimates and some NPCs are better than others. But using NPCs means families can make sure their college list includes schools most likely to meet their needs. Don’t wait until you receive official financial aid awards to find out that you didn’t apply to any schools generous with financial aid. You don’t submit the FAFSA. Many parents don’t submit the FAFSA because they don’t think they’ll qualify for financial aid. According to Mark Kantrowitz, in The Edvisors® Guide to Completing the Free Application for Federal Student Aid. So, unless the parents earn more than $350,000 a year, have more than $1 million in reportable assets, have only one child in college and that child is enrolled at a public college, they should still file the FAFSA. If the family wants to receive federal education loans, they should file the FAFSA regardless of their income and assets. There’s also the issue that some colleges and state aid programs require the FAFSA even for merit aid. If you want to minimize your chances of paying the full cost of college, submit the FAFSA. You want your teen to attend a big name out-of-state public university. Why? The out-of-state tuition at popular and highly ranked public universities is the same as popular private colleges. But these public universities don’t offer the same financial aid as private colleges. In fact, many welcome out-of-state students because of the higher tuition they bring in. Since states cut back their funding, public colleges use noresident tuition to subsidize financial aid for in-state students. This means that students often end up taking out loans to pay private college tuition for public college resources. Visit DIYCollegeRankings.com to download your free College Search Cheat Sheet of colleges that have at least a 50% graduation rate and a 50% acceptance rate.